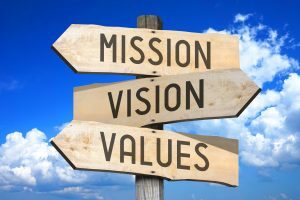 Clear and precise need to be ongoing conversations around a school’s vision and mission statement. Without that conversation, it is unlikely that questions will emerge that generate assessment. Unless evidence is frequently sought, there is no indication of how the current actions and behaviors are advancing progress toward the vision. Fairfax County Public Schools inspires and empowers students to meet high academic standards, lead healthy, ethical lives, and be responsible and innovative global citizens. Which elements are easy to spot and confirm their presence? Which elements are below the surface and require investigation to confirm their presence? If we took the phrase “inspires and empowers” students, what evidence could we seek to assess the current state? What do “inspired and empowered” students sound like and look like? Where and when do we find indications that we are succeeding in having students inspired and empowered? What actions are we as staff implementing that are supporting those desired outcomes? What evidence suggests the presence of students who are uninspired or unempowered? What changes could we make in an attempt to increase reaching our desired outcomes? Similar questions could be generated to explore high academic standards, healthy, ethical, responsible, innovative, and global. Not “avoiding specifics about what we hope to accomplish and for whom” is the reason I push PLCs to identify student achievement goals to guide their work. If a PLC’s focus is on student writing skills, what goals would teachers set for students at differing, current levels of writing achievement? 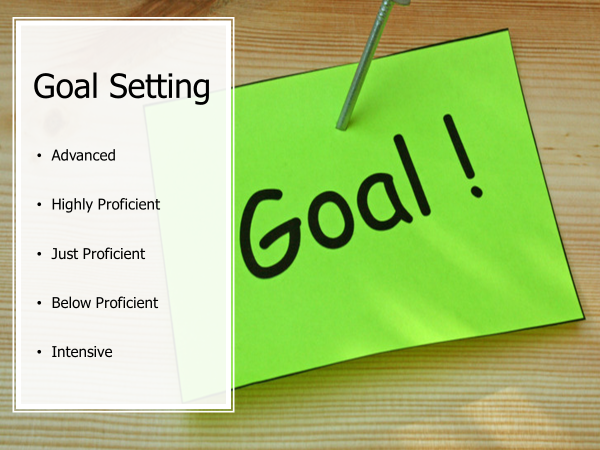 Setting year-end goals for all students provides checkpoints throughout the year for teachers to examine the effectiveness of strategies in place. A missing sense of urgency within PLCs is often an indicator that the members have not selected goals of sufficient importance. When teachers present frustration concerning the cost of the time spent in PLCs, I examine the importance they place on the goals that they selected. 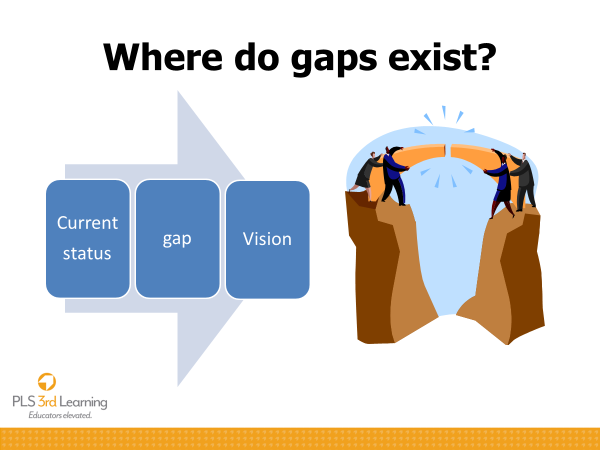 I am currently working with teachers and administrators at one school who decided they needed to reexamine current goals halfway through the year. As I questioned the teachers’ dissatisfaction with PLCs, they shared that they set goals quickly thinking about what the administration would approve and what would be fairly easy to assess. “Great leaders make a vision come to reality by being able to break the vision down into smaller steps. As school leaders, how do you continually reinforce the specificity and urgency of the school’s vision? How do you connect the day to day decisions and actions of adults in the school to the vision? How do you provide feedback and reflection when you observe actions that are counter to the vision? Having teachers describe their visions and goals and their burning areas of urgency can set the stage for powerful, growth-oriented coaching. I like your post. 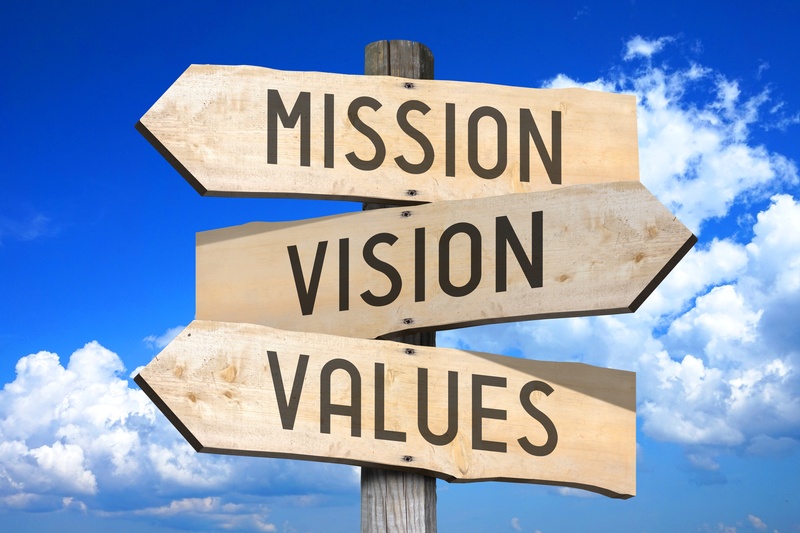 What is an example of a specific measurable mission statement?